The Craft Brewing Industry Contributed $55.7 Billion to the U.S. Economy in 2014, [including] more than 424,000 Jobs. Supporting local breweries not only benefits the economy, it also offers you more variety! Small breweries have the advantage and freedom to explore new and creative beer ideas. If their creation is a hit, it can bring them international recognition! Of course, small breweries will always have classic recipes ensuring consumers like yourself will still get what you want. After all, these beers are generally their bread and butter. 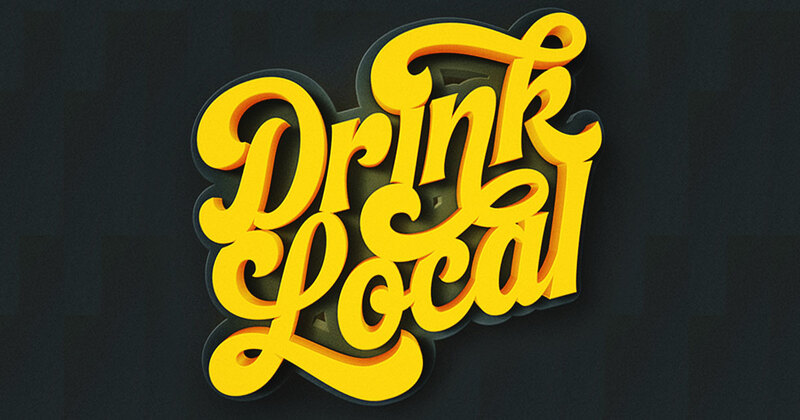 #DrinkLocal — A Beer for Everyone! If you’re one of those individuals who really likes one particular beer and have always been drinking it, you may not be sure where to start with craft beer. Have no fear, there’s likely a local beer for you too! All you have to do is ask. Ask your local Brewmaster, your server, or the liquor store clerk. Generally, you’ll get the best suggestions and insights into locally-brewed alternatives. If you’re not close to a local brewery, pub, or liquor store, then you can always try getting a response online by messaging a local brewery’s social media account on Twitter or Facebook. That covers the basics of the #DrinkLocal movement. You can learn more about #DrinkLocal by reading up on Craft Beer, which is just one of many local products supported by the #DrinkLocal movement. At the heart of it, the #DrinkLocal movement is people supporting people and a movement is nothing without the support of people like YOU!